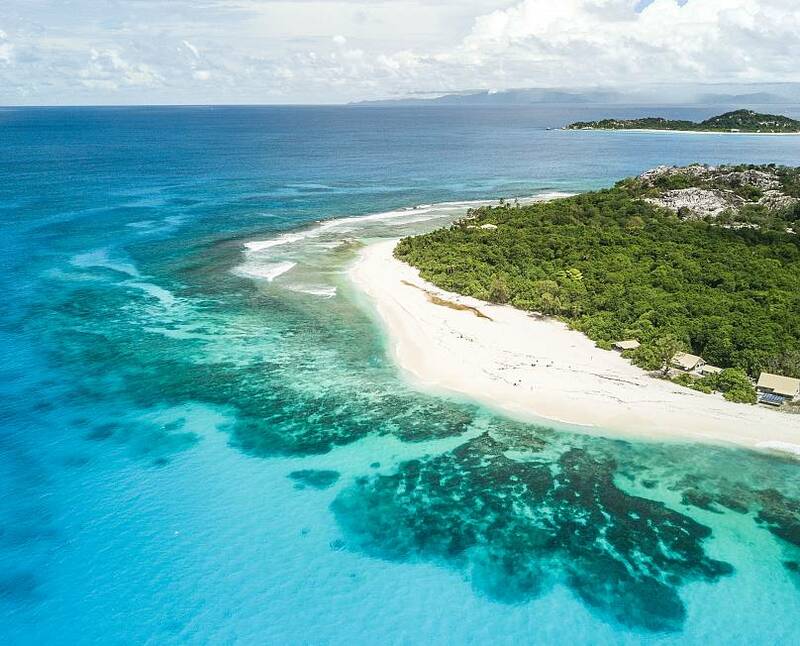 I flew to the Indian Ocean to discover Praslin, the second largest of the 115 granit islands in Seychelles. Take a short 15 minute inter-island flight or breathe the ocean air with a luxury 45 minute ferry ride. The Raffles is a five star luxury resort with 3 private beaches. The private pool villas provide tranquil peace and privacy overlooking sapphire crystal clear blue seas and Curieuse Island in the distance. The panorama and seclusion here are relaxing. 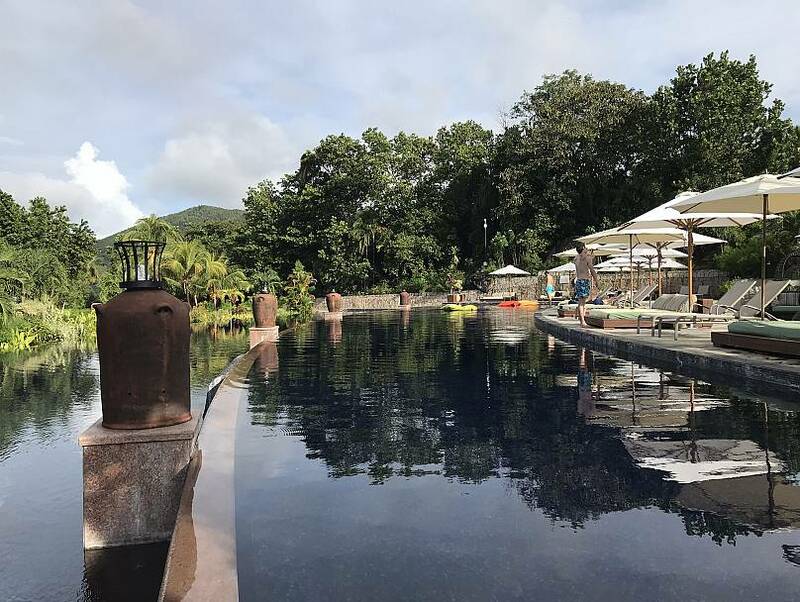 Enjoy the island's tropical vegetation, tasty variety of restaurants and weekly buffet events so you can try Indian, sushi with fresh catch of the day or classic international dishes (depending on your mood). 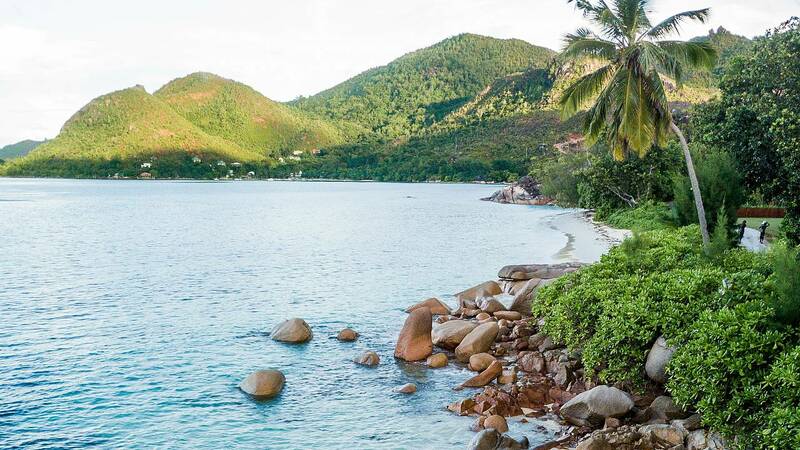 The luxurious spa overlooking the Indian Ocean features 12 treatment pavilions, featuring the spectacular views and dramatic granite boulders of the Seychelles. Losean has an Indian Ocean menu inspired by local spices. This excellent restaurant serves salads, sandwiches or sashimi. Try a private dinner on the beach in this romantic setting with white powdered sandy beach. There is 24 hour room service and fitness. The sushi room at Curieuse celebrates a very exciting and eclectic menu with sauces. The Danzil bar lounge has local live music many nights of the week and the backdrop overlooking the ocean is phenomenal. 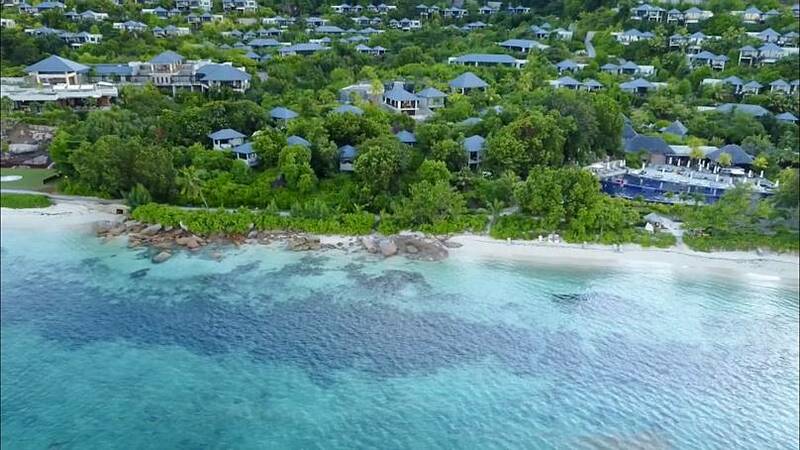 I happen to know the CEO of Cousin Island, a small granitic island close to Praslin managed by Nature Seychelles and protected under Seychelles law as a special reserve. The Magpie Robin is well protected here in its natural habitat where it is free from danger and most human interaction. Any visit requires special permission and visitors are only permitted three days per week for a select few hours. If you get a chance to discover this amazing paradise, you may even see birds nesting on the ground with babies waiting on delivery of their meals by their parents. Aldabra Tortoise, indigenous to these islands, roam free and can be cuddled for pictures. We had special permission to dive the super coral reef here, the largest of its kind in the world. We even helped to clean the growing coral during the dive. These species are known as "super-coral" and are specifically bred to resist coral bleaching. The environmental management of this area has been a focus for many studies and international research by organizations and universities, as well as the international coral reef action network. The Eco Tourism program has won several prizes including the Condé Nast Eco Tourism award. The endemic biodiversity of Nature Seychelles aims to increase awareness of conservation. If you would like to make a donation is very much appreciated at www.natureseychelles.org. Or, you can apply for their boot camp to discover the bird, wildfire and conservation program for hawksbill and green sea turtles at the Centre For Environment and Education Seychelles.